Who doesn’t enjoy the intense fragrance and beauty of lilacs? 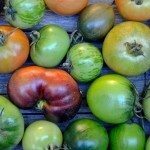 These old-fashioned favorites are wonderful additions to nearly any landscape. However, periodic pruning is vital in order to keep lilacs healthy and looking their best. Although there are smaller varieties, about ten to fifteen feet, many lilacs can reach heights of about thirty feet tall without regular pruning. Pruning lilac trees on a regular basis keeps them from becoming too tall and unmanageable. When pruning lilacs, cutting back the tops of overgrown stems is oftentimes not enough. 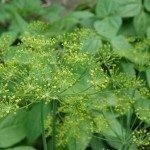 It is generally better to cut the entire stem. Trimming lilacs is best accomplished using clippers. Remove spent blooms all the way to the stems to prevent seeding and encourage more blooms later on. Cut back about a third of the branches. Cut away shoots growing near the ground that may be sprouting from the main trunk. In order to improve air circulation or to allow more light to filter through, trimming lilacs within the inner branches may be necessary. 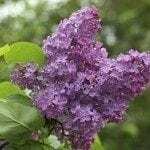 If lilac bushes are already too large or becoming unsightly, however, pruning the entire bush or tree to about six or eight inches off the ground may be necessary. Keep in mind that you may have to wait for flowers, as it takes about three years for them to develop once entire shrub has been cut. Knowing when to trim lilac bushes is important. Most lilacs don’t require pruning until they reach about six to eight feet tall. The best time for pruning lilac bushes is right after their flowering has ceased. This allows new shoots plenty of time to develop the next season of blooms. 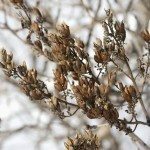 Pruning lilacs too late can kill young developing buds. If you are pruning lilac trees or shrubs entirely to within inches of the ground, it is best to do so in early spring. New shoots will develop during the regular growing season as long as there are a few healthy shoots left. Once the growing season has ended, remove any unsightly shoots. Pruning lilac bushes is important for their health and flower production. Lilacs are generally pretty hardy and if proper pruning is performed, they will come back stronger than ever.